This course has been approved by the State of Texas for 14.5 Continuing Education (CE) Hours. IAS Claim Services will offer a two-day flood training course for New and Experienced Flood Adjusters with a current FCN. The class will be held in our Dallas office on May 21 & 22, 2018 from 8:00 a.m. until 5:00 p.m. The admittance fee is $300. Adjusters will be responsible for planning their own travel, food and lodging arrangements. Limited space is available and will be provided to the first 15 adjusters that request a reservation. 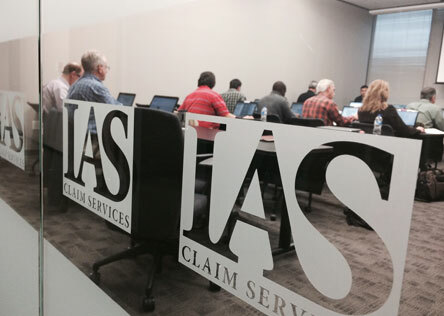 To request a place in our May 21st-22nd class, email flood@iasclaims.com. You will be notified if a slot has been reserved for you and provided with instructions on how to process payment for the class. Additional training classes will be scheduled in the future so check back for updates if you are unable to attend the upcoming course. Business casual attire is expected for flood training attendees. In addition, a laptop is required for this course and we recommend that you come prepared to take notes. XactContents will be discussed but it is not required to have the license active for the class.